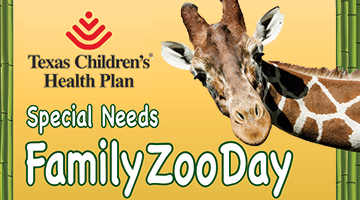 Join us for a day of WILD family fun! Come see the animals, get cool giveaways, and learn about providers and services in your community from local exhibitors! No sign-up required! Event is open to all. Parking is available on the street or in the Ellen Trout Park lots. For more information about Ellen Trout Zoo, visit CityofLufkin.com/Zoo or call 936-633-0399.